The bees are taking over. A friend here is a birder – a real expert. He feeds birds at his cottage. 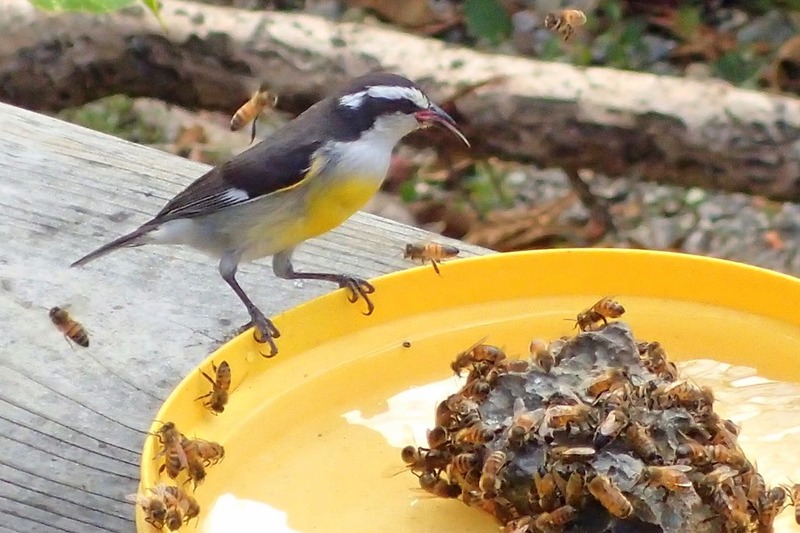 But bees have invaded his bird feeders. Lots of bees. 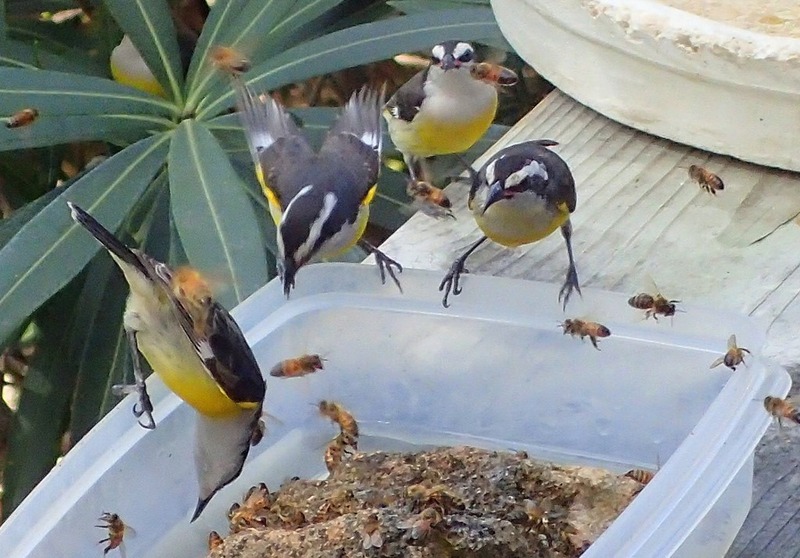 The bananaquits don’t seem to mind. 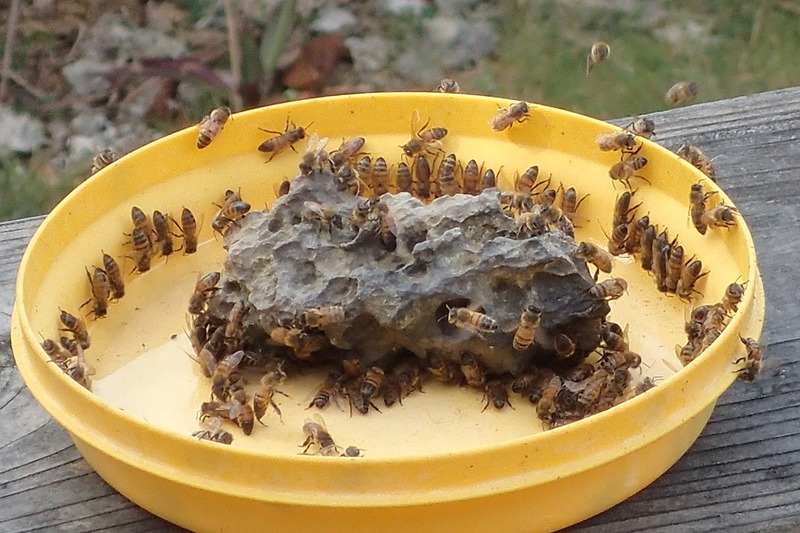 They share their sugar water with the bees. 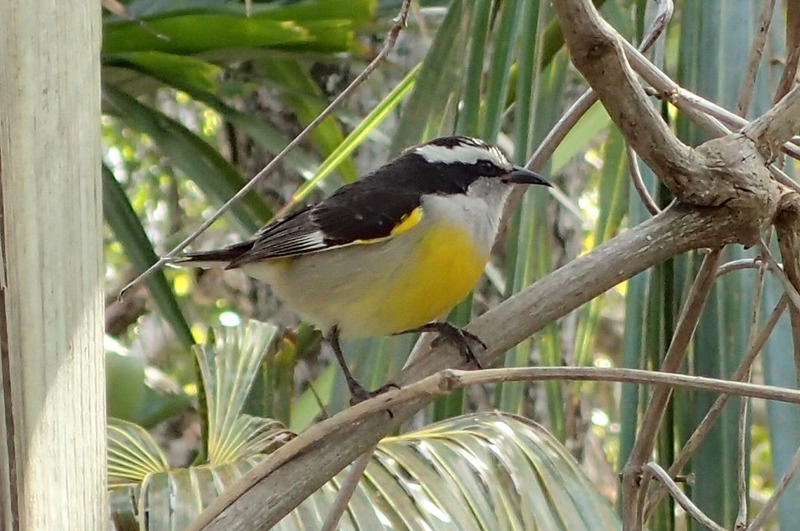 Bananaquits are common in the Bahamas and all of the West Indies except for Cuba, (an “unexplained ecological curiosity” according to a leading bird guide). 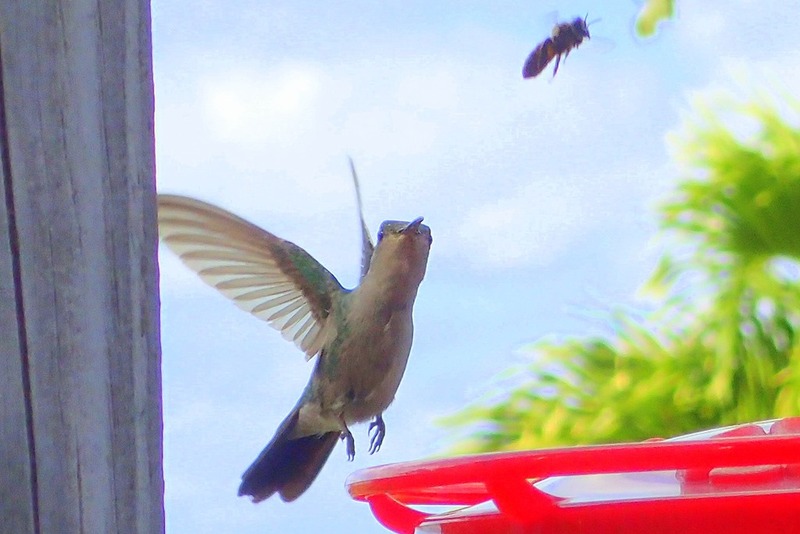 More adventuresome bees are threatening the super sugar water in the hummingbird feeder. The hummingbirds are not deterred. 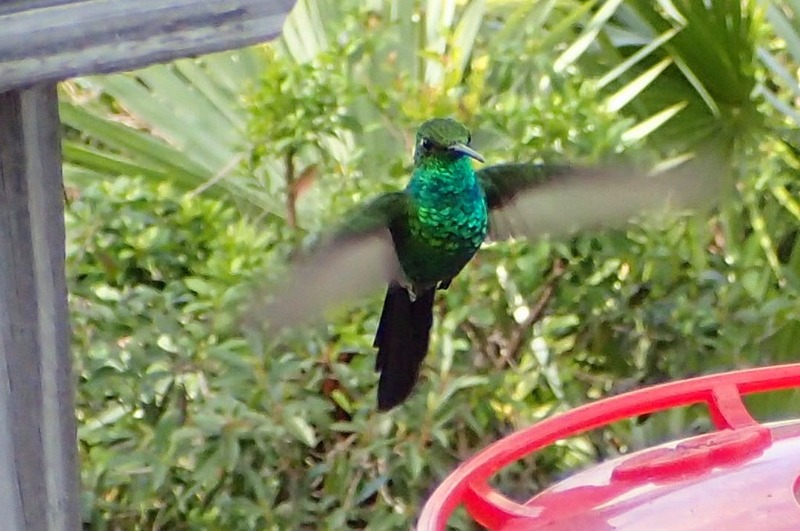 There are two kinds of hummingbirds on Elbow Cay. 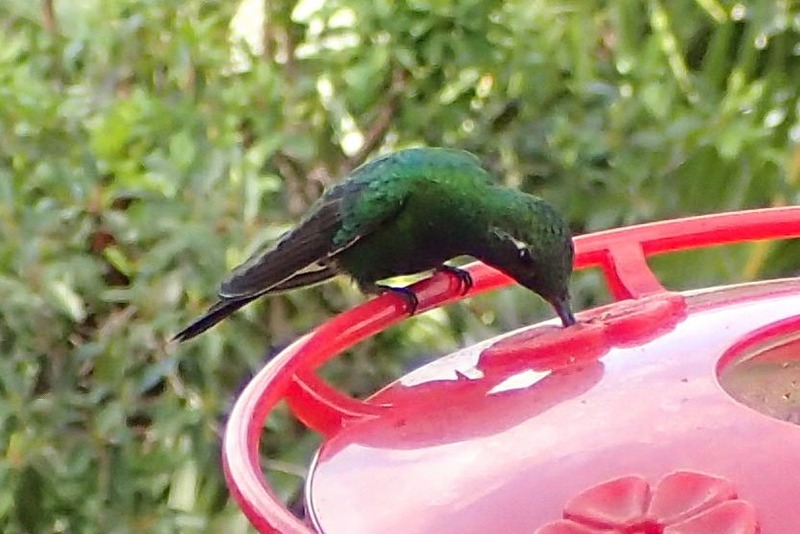 This is the Cuban Emerald, unique to Abaco and Andros in the Bahamas, and Cuba. Also called the God Bird in the Bahamas. I could always hear the hummingbird’s wings beating when he flew up to the feeder – “a particularly noisy” flyer, according to the bird guide. At the North End of the cay, you can find the Bahama Woodstar. Lots of folks on Elbow Cay go birding – usually on Great Abaco Island. A highly recommended birding guide is “The Sibley Guide to Birds” by David Sibley, which you can get on an iPhone so you can hear the bird songs. Amazing and interesting! And always informative!